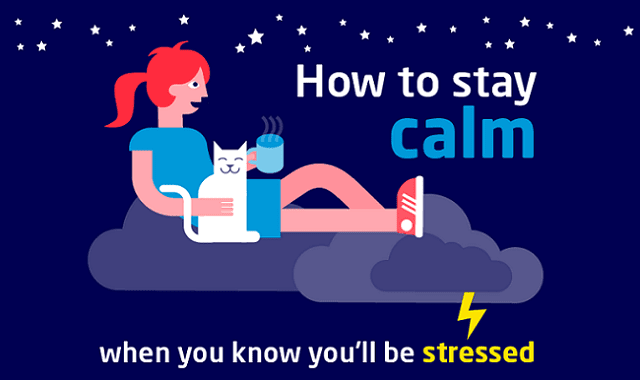 How To Stay Calm When You Know You’ll Be Stressed #Infographic ~ Visualistan '+g+"
We are all guilty of succumbing to stress. Whether induced by next weekend's party or an important presentation at work, its effects can be debilitating. But there are ways to keep stress at bay.